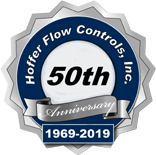 Hoffer Flow Controls continues to supply many “insertion” type turbine flowmeters to the petroleum pipeline industry. This type of meter is commonly used for leak detection and not custody transfer. Custody transfer applications are addressed with “in-line” axial flowmeters such as the Hoffer API Series turbine flow meters custody transfer or CT Series turbine flowmeters for custody transfer. Leak detection flow applications, for checking the integrity of the pipeline, can be addressed with the HP Series of insertion turbine flowmeters. Insertion turbine meters provide multiple advantages when compared both to in-line turbine flowmeters and other types of flowmeter technologies. These advantages include low cost, negligible pressure drop, low installation costs, minimal potential points of leakage, and avoidance of high pumping costs. Additionally, the HP insertion turbine flowmeter can be specified for use in velocities up to 50 FPS. 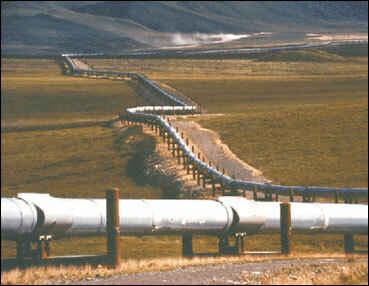 This allows pipeline companies to move a maximum amount of product in the shortest time possible. The HP Series insertion flowmeters are available in both low pressure and high pressure versions. The unit produces a frequency pulse output. Hoffer can supply either a pulse producing preamplifier or an analog signal converter with the HP meter. A smart signal converter allows user to take advantage of the excellent repeatability of the HP insertion flowmeter. This means that users can achieve ±0.25% linearity over a 10:1 flow turndown range when they specify a Hoffer transmitter with the HP insertion turbine flowmeter.